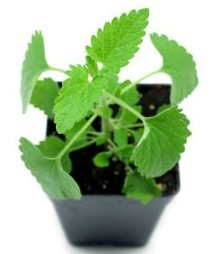 Catnip plants, or Nepeta Cataria, are perennial herbs that grow in North America and Europe. Nepeta Cataria belongs to the mint family of herbs. Its flowers are white with crimson dots and the scent of the herb can be smelled from several yards away. Outdoor plants can grow to well over three feet tall. The herb can also be grown indoors. This herb has been around for centuries. It has a history as a popular garden herb and has been used for cooking and medicinal purposes. A tea can also be made from the leaves that is supposed to have medicinal benefits for humans. And of course, catnip has also been used for centuries as a treat for felines. As with most things, organic is best for both you and your cat. If you are able to find organic catnip plants, you'll avoid the toxic chemicals and pesticides nurseries use to help protect the plants as they grow. Not to mention, you'll also be helping to care for the environment and your kitty's health. In fact, it's usually the pesticides that cause negative reactions in cats. Organic catnip is also more potent than the conventionally grown stuff, as it's supposed to have a higher concentration of the active, non-toxic chemical, Nepetalactone. Nepetalactone is the part of the plant that gives felines great pleasure. For the freshest supply for you or your cat, you can grow your own. Plants can be grown outdoors and indoors. Of course, if you grow it indoors, you'll want to keep it in a place that is inaccessible to your cat, especially while the plant is establishing itself. You can get seeds at your local nursery. Or you can get a kit to grow plants indoors. You'll need to put it in a sunny area for it to thrive. After it's grown to several inches, you can harvest the leaves and dry them. Then crumple them and give some to your cat. You can give her the crumpled leaves directly or make a toy for your cat to enjoy. Effects on Felines - How does catnip affect healthy cats? Does it work for kittens? Catnip Toys - How to choose or make your own. It's easy! Catnip Addiction - Can your kitty become addicted?